Basketball New South Wales is thrilled to announce a ground-breaking partnership with Roads and Maritime Services South West region to deliver and promote road safety to our members who travel frequently on our roads. With over 86 associations spanning across metro and regional areas of NSW, there is an increasing risk to our members travelling across the state’s country roads this competition season. In 2017, 272 lives were lost on country roads in NSW. More than 70 per cent of fatal crashes on country roads involve country drivers. Many of our Basketball NSW junior competition events require players and their families to travel throughout NSW on weekends to participate, especially in regional areas. Visiting players spend an average of four hours on the road to each event, with many players travelling home on Sunday afternoons after a tiring weekend of basketball. While there are a number of factors contributing to higher risk on country roads – higher speeds, roadside hazards such as trees and embankments, longer travel distances and older vehicles – research shows that driver behaviour is still the most significant factor in crashes. Speeding, driver fatigue, drink driving and not wearing a seatbelt are more likely to contribute to country fatalities and serious injuries. This indicates higher levels of risk-taking behaviours among country drivers and riders. Roads and Maritime will be on hand at a number of Southern and Western Junior League rounds this season, with the campaign beginning with road safety questionnaires and promotional reminders targeted at basketball families. 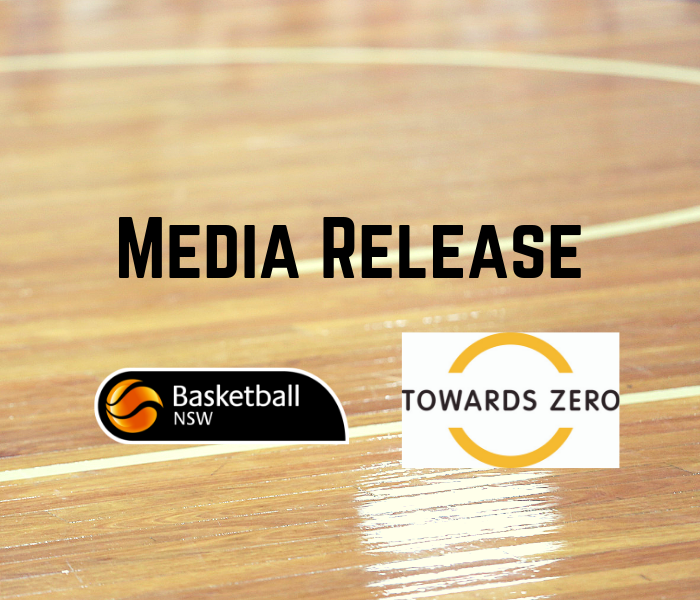 Basketball NSW CEO, Maria Nordstrom, praised the support of Roads and Maritime South West in promoting the importance of the Towards Zero message and encouraging drivers to take their ‘time-out’ breaks when travelling across the state for competitions. “On behalf of Basketball NSW, I would like to extend my gratitude to Roads and Maritime for their support in our Country associations and events to help promote driver safety and minimise the risks of driver fatigue,” Nordstrom said. Roads and Maritime Director South West region, Lindsay Tanner, thanked Basketball NSW for their support in carrying this important road safety message to its members across the state. “There is no excuse for unsafe behaviour on the road because it can have tragic consequences,” Mr Tanner said. With many of our BNSW sanctioned events being hosted by country associations and regional locations, we would like to remind our members and athletes that driver safety is our number one concern. By partnering with Roads and Maritime South West, we hope to help local communities drive our road toll Towards Zero.